Aw yeah, bow down before my (not so) awesome Cotton skills! Ever since I saw you guys getting the 2-ALL I knew I had to do it, too. Refined my survival strategies considerably, there was probably not a single spot during the second loop where I had less than 12+ lives. Once you know the appropriate modus operandi for all the bosses it becomes fairly easy (still not so sure about the dragon, though, it's still awkward to dodge the whirling fireballs if you're on top of him; there's a safespot in the lower left for most of his patterns, but not all of them). Great, great game, seriously considering giving it a spot on the upcoming top 25! It's such a jest trying to get the secret bonus, too, unlike in Cotton 100% where I can never get it for some reason. Will post a Cotton Original score next time I dig out my PS1, I've cleared it quite a while ago, score's pathetic, however. Say, Kino, is it challenging to 2-ALL the arcade version? Last edited by Kino on Tue Sep 18, 2018 11:38 am, edited 1 time in total. Damn, nice one! How many hours did you milk the Stage 1 boss? Not at all, actually. I got eight secret bonus rounds and a lot of points for picking up crystals/orbs while being maxed out. I murdered the first boss right away on either loop. And thanks for the information! 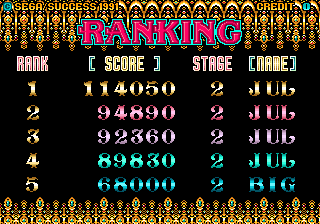 How come that the X68000 version is harder than the arcade game? Edit: Great videos you got there! Ultra rapid sure helps out for Cotton Original's Hard difficulty I'd surmise? I don't want to play this any longer, it really is disappointing compared to the splendid PCE CD port. I also hate, hate, hate playing without autofire - yes, it's absolutely not necessary in this game, I still despise having to tap or mash buttons, it's a pet peeve of mine ever since. Furthermore I'm convinced that this particular port just loves to rain on my parade, I never get more than two secret bonus rounds for some godforsaken reason (here I got one in stage 1 and one in stage 5 (! ), both stage 2 and 3 screwed me over in the last possible moment with an unavoidable wall of tea cups ). I shall return with an arcade score one day! Last edited by Kino on Tue Sep 18, 2018 11:37 am, edited 1 time in total. I never get more than two secret bonus rounds for some godforsaken reason (here I got one in stage 1 and one in stage 5 (! ), both stage 2 and 3 screwed me over in the last possible moment with an unavoidable wall of tea cups ). Yeah, I could only ever get it on the first 3 stages, too many tea cups after that. Maaaan! I was of course not expecting to come even close to Kino's score after just a few hours of playing the game and not learning the proper milking routines, but I'm bummed nonetheless. Didn't lose a single life all the way to 2-6, and then I die twice to those dumb idols. While these are just plain silly (not enthusiastic about the high resilience of enemies in the second loop) I don't have any excuse for my horrendous performance on the dragon afterwards. Oh well. I was playing "cottonja" in case it's important. After owning and enjoying this game for a while I'd like to add my say to the scoreboard. Man, I screwed up a lot during that first loop. 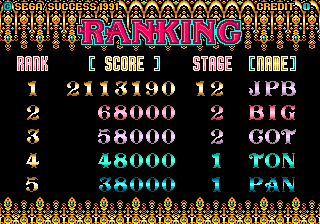 I somehow misjudged the 5th-stage boss's safe-spot, sending me all out of whack and underpowered for the final stage. Thank goodness for that generous safe-spot for the dragon, or else I don't know how I would have dealt with him otherwise. The final boss was cheesed accordingly, as well. I guess it's kinda bad that so many bosses, especially at the latter half, can be dispatched with a few simple tricks, but this game's ginormous hitbox makes me nervous enough as it is despite the lives being handed out like Willow candies. The lack of fire-power really makes you vulnerable in the later stages since everything just has much more health. My quick death into the second loop was due to the newfound realization that every enemy has more health now, so my simple strategies of bombing particular larger enemies (notably stage 1's midboss) left me woefully unprepared for a nasty surprise. Still, this was a perfect shmup to open up the Halloween season with! Hey guys. I just started playing this game a little bit myself. It wont help your scores out very much but on stage 1 after the first stone head (not sure of the logistics of this) but you go about an inch away from the bottom right of the screen and constantly drop bombs it will reveal another stone head just before "stone face." There are probably more of these reveals throughout the game but definitely not 2m worth. Also, the bubbles (at least on stage 1) do not stay on the screen. Last edited by Kino on Tue Sep 18, 2018 11:36 am, edited 1 time in total.